Here's another quick tip I shared in the February issue of SNR. 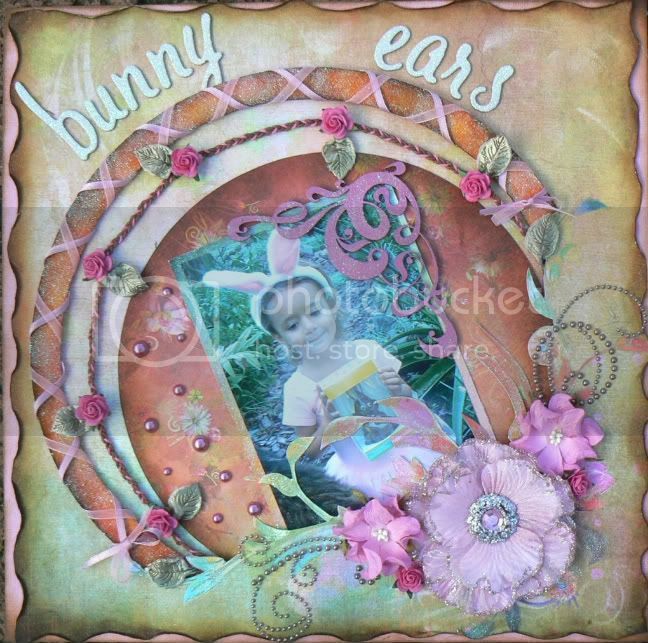 I was in the mood for working on a really girly layout so I picked out my papers and although the Prima papers are absolutely stunning on their own I felt they were lacking a little sparkle, which is what I wanted for this particular layout. With a little experimenting I discovered this really fabulous technique which helped breath life into my layout. 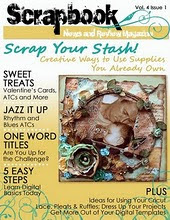 It's very simple and a great way for you to get your hands wet with working with some mixed mediums on your layouts. Step One: Gather all your supplies together. Select your patterned paper. I had already started my fussy cutting by the time I decided to try the technique. 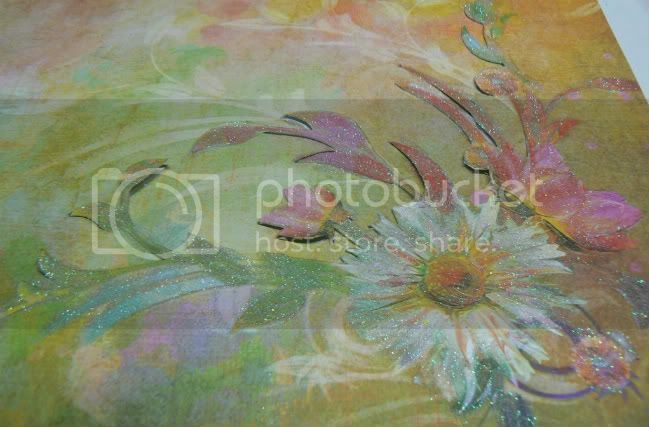 You can however use the technique on solid uncut paper where you want to add some sparkle as part of background. Step Two: Using your paint brush, add some soft gloss gel to the areas you want to alter. 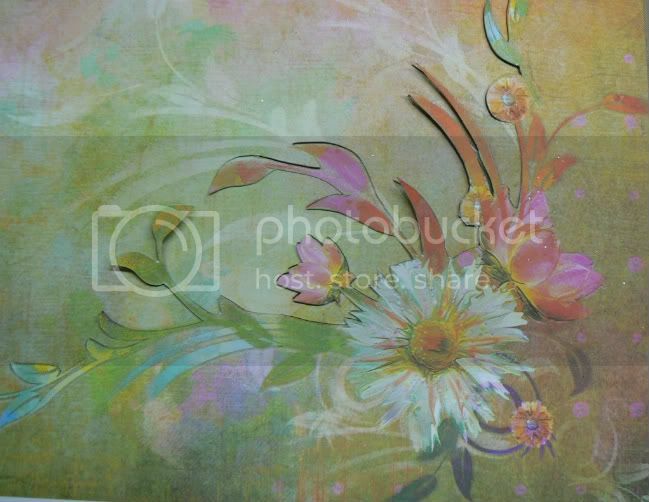 On my layout I added sparkle to the flower image on the bottom right of the paper, the paper I matted my photo with and the cardstock circle I wrapped some ribbon around. 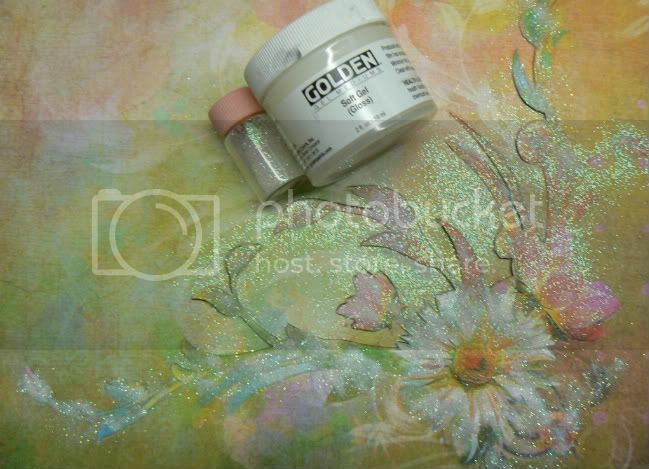 As you paint your paper gently tap some glitter over the area. The gloss gel dries quite quickly so I suggest you sprinkle the glitter as you paint. Fine glitter works best for this technique. Step Three: Dust any excess glitter off onto a spare piece of paper which you can then use to funnel back into it's container. I used my polymer clay leaves tutorials for the little green leaves and the braided vine tutorials for my vine circle. You can find links to both these tutorials on the right panel under "my tutorials".